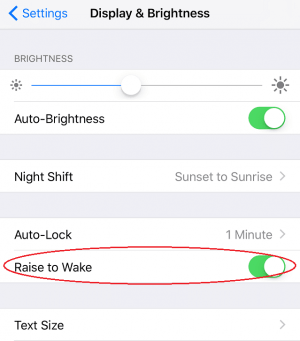 Beginning from iOS 10, newer iPhone devices such as iPhone 6, iPhone 6S and iPhone 7 and their Plus variants (iPhone 6 Plus, iPhone 6S Plus and iPhone 7 Plus) has a new feature called raise to wake. 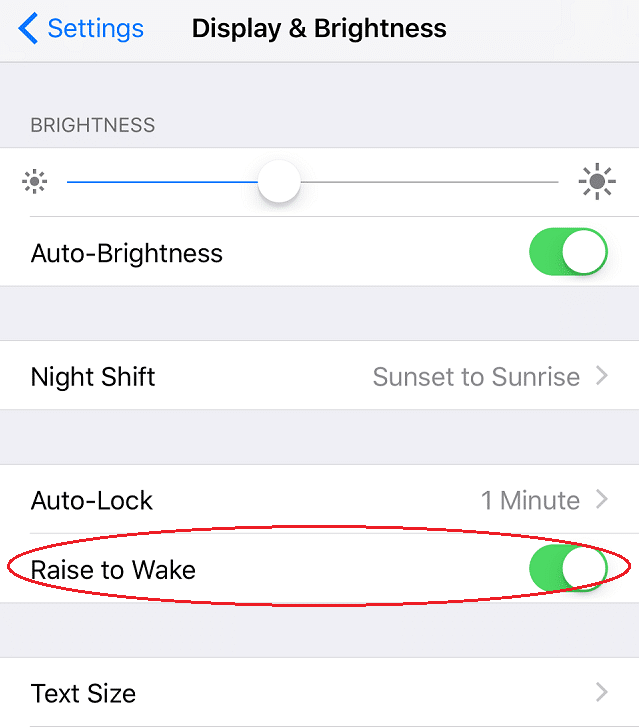 With raise to wake, one can just pick up the iPhone and the smartphone will automatically turn on the display so that user can view the lock screen to take a quick glance on the date and time or to check any notifications. When user puts down the phone, the screen will automatically turn off again. The new functionality is to complete another new “feature” of iOS 10, namely disabling of rest finger to unlock for Touch ID user. With iPhone users now requires to press Home button before unlocking the device, the raise to wake nicely removes the need to have to press the button just to turn on the screen. You can easily set the disable Rise to Wake feature if you think it’s not helpful or even annoying and battery life wasting for the phone to turn on the screen automatically, albeit still at lock screen. In iPhone, open Settings app. Go to Display and Brightness. Toggle to Raise to Wake to the left (white) to disable Raise to Wake, or to the right (green) to enable Raise to Wake.